Dainty stud earrings are hand forged 14K gold and 14k gold prong setting. This stud with a perfect raw genuine Turquoise in a prong setting. All items are made to order. Please check the our policies page, our time to works is 1-2 weeks in business days or for the update production and delivery times please check the top on the announcement page. If you need it sooner, please send us a message on Etsy. These are just as pictured and perfect! I ordered these to wear in my second ear piercing next to some statement brass earrings on my wedding day! Turquoise is my favorite stone so I thought it would be a cute way to incorporate "something blue" for my wedding look. I also knew I would wear these all the time! They are very high quality and sturdy. Love them! The best customer service. 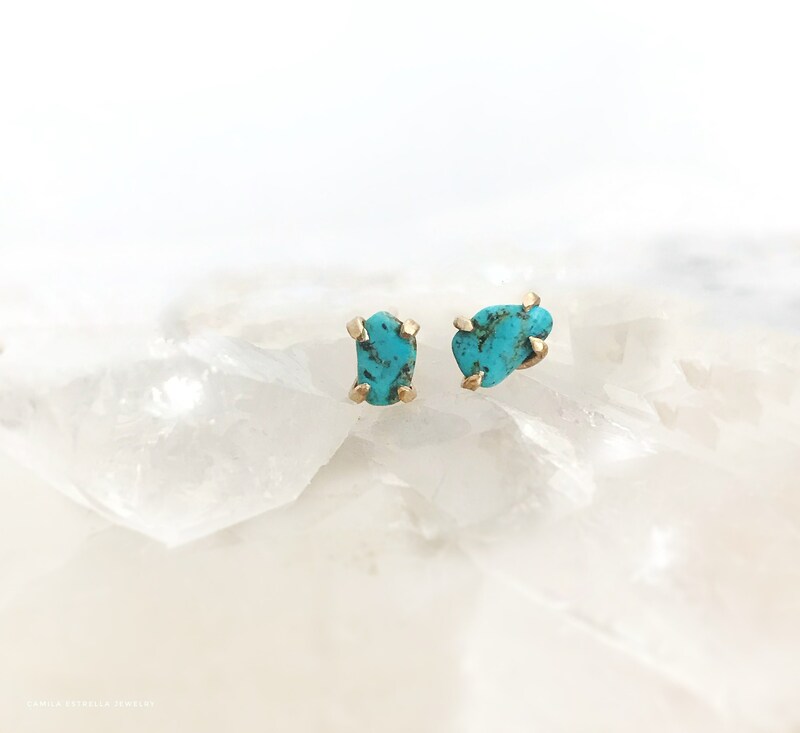 Camila makes a spectacular designs, the turquoise earrings are amazing. Thanks Camila.